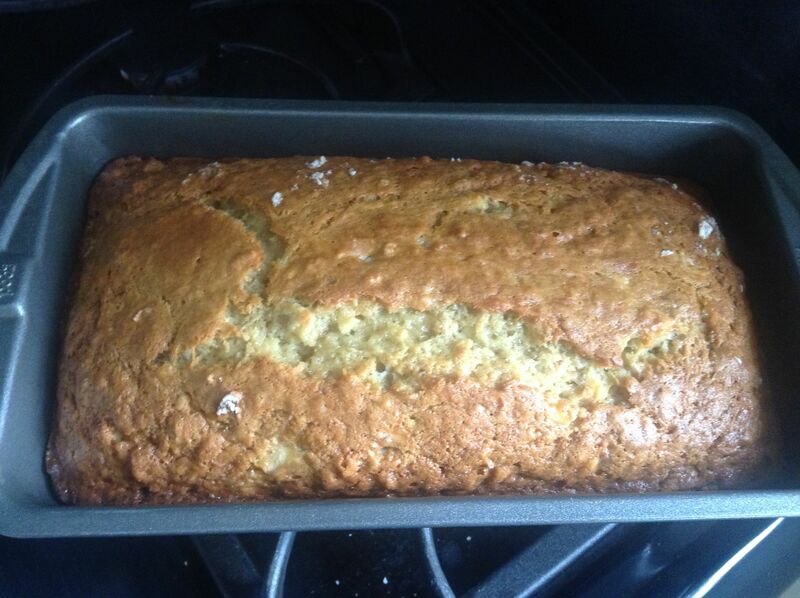 This week, I also made this practically perfect yogurt banana bread. It stays moist and is great for a quick breakfast or afternoon snack. Adapted from: Classic Banana Bread Recipe | MyRecipes.com (Cooking Light, September 2003). Combine the flour, baking soda, and salt, stirring with a whisk. Place sugar and butter in a large bowl, and beat with a mixer at medium speed until well blended. Add the eggs, 1 at a time, beating well after each addition. Add banana, yogurt, and vanilla; beat until blended. Add flour mixture; beat at low-speed just until moist. It is OK if there are still tiny bits of flour in the batter; you do not want to over beat the batter. Stir in walnuts, if using. Grease your loaf pan with a small amount of butter, be sure to get it up the inside walls of the pan and into the corners. Pour the batter into the pan. Bake at 350° for about 1 hour or until a wooden pick inserted in center comes out clean. Cool 10 minutes in pan on a wire rack, then remove from pan and cool the loaf completely on a wire rack. Enter your email address and click the big blue button below to get my new blog posts delivered via email. Or, follow me on Facebook, Twitter, or Pinterest to keep up with Sara Makes Soup without the email commitment (easy!). Send Me Posts via Email! © Sara Makes Soup, 2013 and forever. All rights reserved.